This is probably my favorite street sign in Finland. It means that this is a dead end for cars only: pedestrians and cyclists can continue (usually there is a pedestrian alongside the bike symbol). Turku is full of these little secret passages – ways that are direct and easy on foot or bike, but full of additional turns and stoplights for cars. It makes walking and cycling that much more attractive an option. Speaking of! On May 1st, Turku launched a city bike program. There are something like 25 bike stations around town and the first 30 minutes of riding is free. This program brings me so much joy even though I likely won’t use it (I use my own bike for my commute). I can’t help but notice which stations are constantly running low on bikes (train stations! the cathedral! 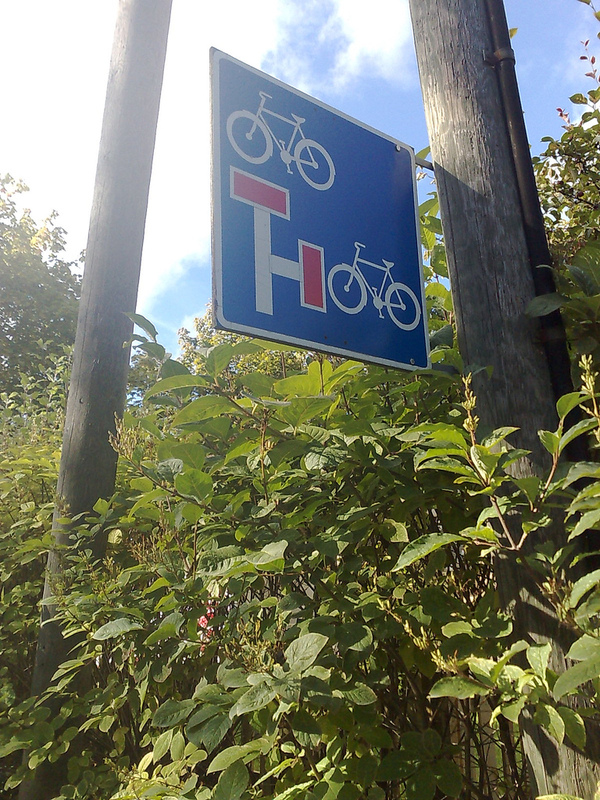 ), and which areas of town have lots of people riding around on the Föli bikes (alllll along the river). Last night we were sitting outside the train station and there were only two bikes left. Within two minutes of the last bike being taken, a van pulled up and a guy unloaded six fresh bikes to replenish the supply! It was so fun to watch. My favorite part was that the guy rode each bike the 20 meters from the van to the station rack, rather than just walking them there all joylessly. I have to wonder if the city bike people have some kind of an alert that tells them when a rack runs empty, or is about to.